In a small town in Idaho’s idyllic wine country where the past looms large, can two people realize their individual dreams for the future … together? Abandoned once too often, Brooklyn Myers never intended to return to Thunder Creek, Idaho. Her hometown holds too many memories of heartache and rejection. But when her estranged husband Chad Hallston dies and leaves his family home and acreage to her and their ten-year-old daughter Alycia, it's an opportunity to change their lives for the better—a chance Brooklyn can't pass up, for Alycia's sake if not her own. Derek Johnson, Chad's best friend since boyhood, isn't keen on the return of Brooklyn Myers to Thunder Creek. He still blames her for leading his friend astray. And now she has ruined his chance to buy the neighboring ten acres which would have allowed him to expand his organic farm. To add insult to injury, Chad's dying request was that Derek become the father to Alycia that Chad never was. How can he keep that promise without also spending time with the girl’s mother? 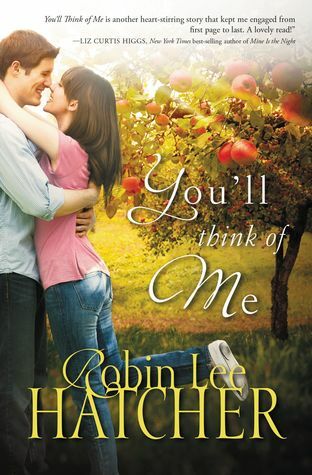 I think that Robin Lee Hatcher is a talented author and this story had some great characters. Hatcher has way of writing about life through her characters in a way that adds a lot of depth. Real life issues and all in a wonderful setting! Some of romance in this particular book just didn't seem to click for me. I felt at times that it seemed rushed/shoved upon the reader and wasn't quite as natural as I would have liked. It made some of the parts of this story a bit predictable and slower for me to read. Otherwise I enjoyed this book and the overall story line. A good book on learning to trust again and learning to overcome misconceptions of beliefs about others. This is something we all struggled with at one time with or another I am sure. Catching the Wind- Wonderful Book! Surrendered Book Tour and Giveaway!